Chase joined the Renaissance Financial team after a successful career in the corporate real estate industry. After eight years of growing his business, he decided it was time to take his knowledge and passion for helping corporations and transition into the area of helping individuals. He is a great fit for Renaissance as he continues to help find solutions to assist individuals with their current and future needs. Working with families, individuals and small businesses, Chase is able to work with each of them to evaluate their specific situation and help determine a financial portfolio that best suits their needs. He understands that clients need a comprehensive program so they are well positioned for the future. Chase’s commitment to the financial success and well-being of his clients is what earned him various recognitions on a national level. In 2016, Chase was awarded the Excellence in Performance* Award which recognizes new advisors in their first three years who qualify for MDRT and the Silver New & Developing Advisor* Award which is presented to successful advisors with the most production during their first four years. 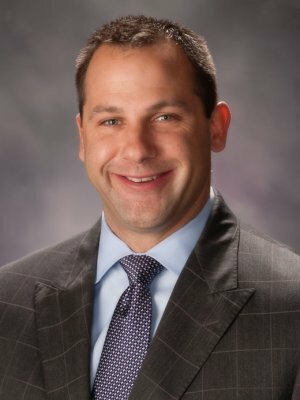 He was also named a member of the Pinnacle Club* from Securian Financial Services, Inc.
As a father and husband, Chase recognizes the importance of securing a family’s financial future and makes that the premise of his business. Chase grew up in Dallas, Texas but now calls Omaha, Nebraska home, along with his wife and two daughters. In addition to his time spent with clients and family, he finds time to help others by being involved in the Knights of Ak-Sar-Ben Foundation’s Floor Committee as well as the Youth Frontiers. Chase is also an alumnus of the University of Arizona where he earned a degree in psychology. He has attained his Life, Accident, and Health Insurance Agent license as well as FINRA Series 7, 63 and 65 registrations.